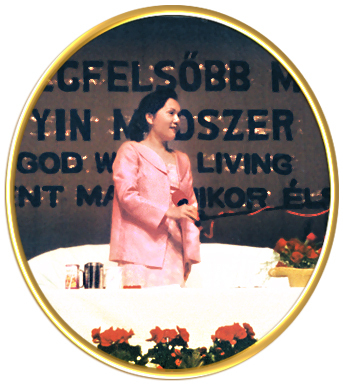 This lecture was organized to take place in the Congress Center, the largest and most elegant meeting place in Budapest. Although we had worked as hard as we possibly could, we had no idea how many people would come. But reality surpassed even our most ambitious dreams: More than 2000 people came, some having traveled several hundred miles, even from neighboring countries. Master wore a simple, elegant pink suit. To one question Master made the very clear and unique statement that She has been traveling in Europe since the first of May because of the Kosovo war. She has been going through many different nations, trying to raise the collective energy of the planet to a higher level. The positive energy will overcome the negative energy, and the result will be known to you inside. Master also mentioned, "I am here not to teach you anything new. I am here just to bring you the key to the Kingdom. The Key is yours, I will just hand it over, because you have forgotten... When Jesus left this planet, He entrusted the key to Saint Peter, and that key has been handed over and over from one generation to the next. Therefore, it might appear in some very unexpected area and with some very unexpected person. I have the key. It just happens that God wants me to have it. And Hes has commanded that I come and inform you. So whatever you have within your beings will be revealed to you after the key has been used to open the treasure within yourself." When, during the question and answer session, Master mentioned that people interested in initiation could go out and get their names registered, suddenly the whole lecture hall started to move. 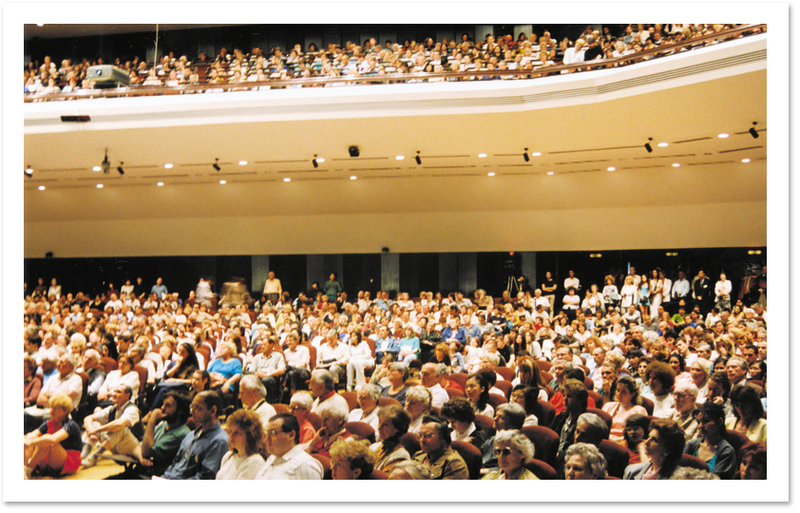 Many hundreds of people chose to receive initiation, and over five hundred decided to learn the Convenient Method. Since the lecture in Budapest, we have hundreds of new brothers and sisters, whom we will try to help. With Master's help we know we will succeed!